Cedar Creek homes overlook the 4th through 7th holes on the Love golf course in the Barefoot Resort. Starting in the 200s to 400s, homes in this neighborhood are spacious retreats that range from 2,000 to 3,000 square feet with contemporary, ranch and traditional styling. It's considered one of the resort's upscale communities; homes have 3- and 4-bedroom floor plans. Read more about Cedar Creek real estate. You won't believe the incredible views that include the stellar golf course and The Ruins, a stone recreation of the ruins of an old plantation house. Even if you don't play golf, you will appreciate the beauty of the Love course with its traditional layout wide fairways and large landing areas. You'll definitely see why the course is consistently ranked by major golf magazines as one of the best courses in South Carolina and the nation. It shares a state-of-the-art 27-acre practice area with the Norman and Fazio courses. But, enough talk about the scenery. 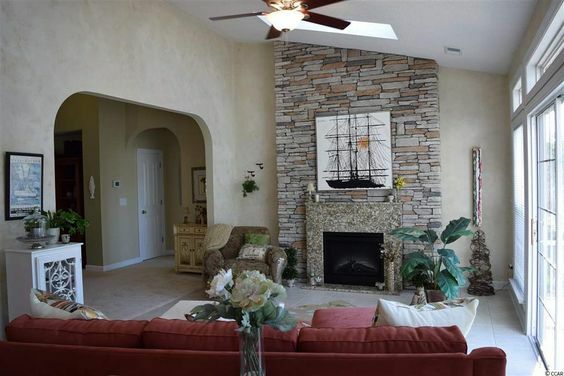 Cedar Creek homes can include granite countertops, kitchen work islands, marble-faced fireplaces, formal dining rooms, eat-in kitchens, hardwood and tile flooring, sunrooms and more. Some homes have screened verandas and private patios, where you can relax or entertain guests. Some of the homes have oversized garages. 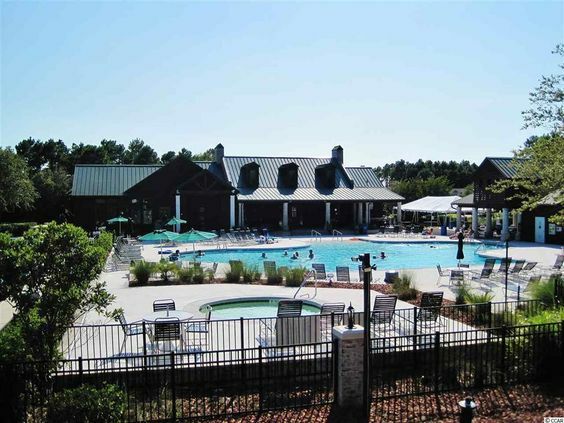 Cedar Creek is near the Residents Clubhouse, which has an enormous pool, Jacuzzi, full-featured clubhouse, game room, grilling area, a well-appointed fitness facility, covered patio, media center, library and more. Ownership perks in Barefoot include golf privileges on all four courses designed by Tom Fazio, Davis Love III, Pete Dye and Greg Norman. If being on the water is more your lifestyle, the full-service Barefoot Marina and free shuttle service to the resort's beachfront cabana will catch your attention. Living here, you can also enjoy the resort's lakes and parks and miles of walking and biking trails on Barefoot's fabulous subtropical 2,300 acres. Barefoot Landing, next to the Intracoastal Waterway, has boardwalk shopping surrounding a 27-acre lake. 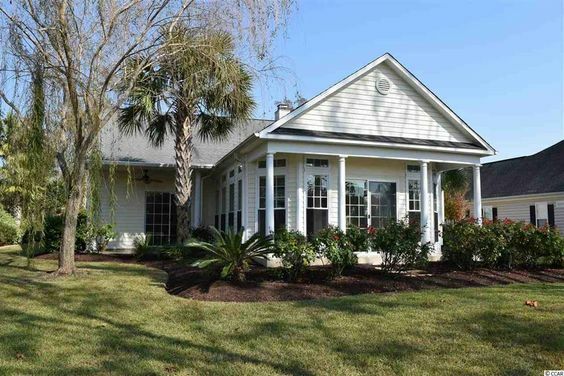 Check out our latest Cedar Creek Homes and get ready to live the golf course lifestyle in style.